To create the distinctive look of this now well known service area, we used a clear span structure exposing its metal roof and services for a semi-industrial aesthetic reminiscent of railway and airport terminal buildings. 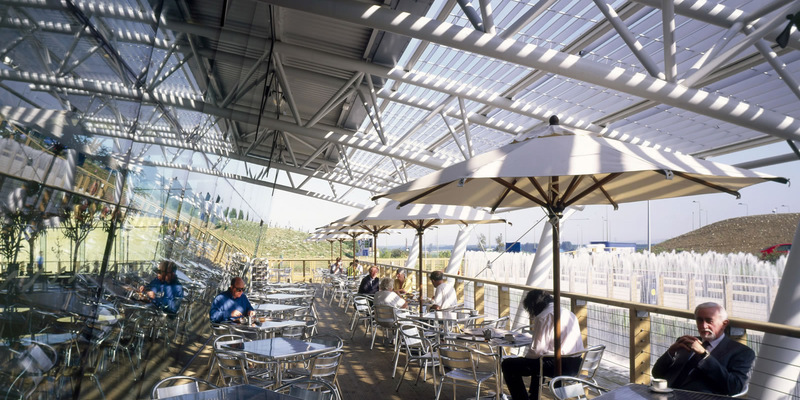 The three-pronged curved steel trusses sail through the double glazed structural glass walls, creating support for an integrated louvered canopy which provides summer shade to the outdoor seating area. A curved spine wall slices through the building and beyond out into the landscape establishing a clear delineation and orientation between public and back of house areas. 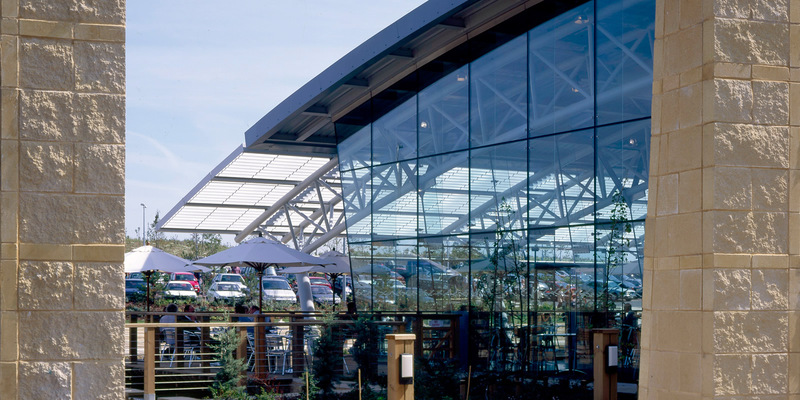 The building design, site layout and landscaping were all informed significantly by a strong sustainable agenda incorporating grey water recycling, SUDS drainage across the site, reed beds and UV filtration systems to contain and treat all foul drainage on site. 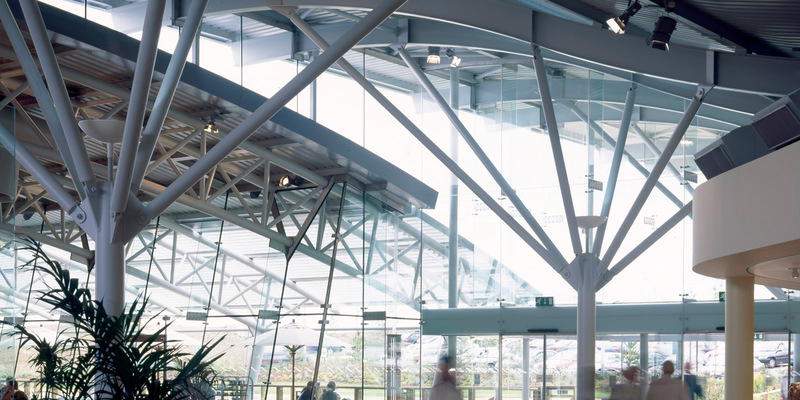 In addition to being appointed as Architects for the project, JWA were also engaged to develop and co-ordinate the interior design for the amenity building and fuel forecourt sales building. The strong architectural forms of the building were given their full expression by adopting a relatively light touch to the interior finishes. A muted palette of carefully selected hardwearing materials differentiates the main public thoroughfare from the seating areas. 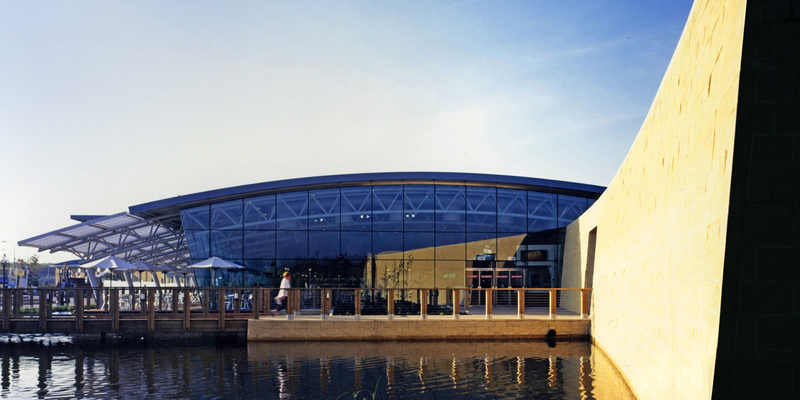 Each franchise was designed to reflect their corporate identity whilst the main food court incorporated a variety of hard and soft seating areas linking through to the external terraces and water features.